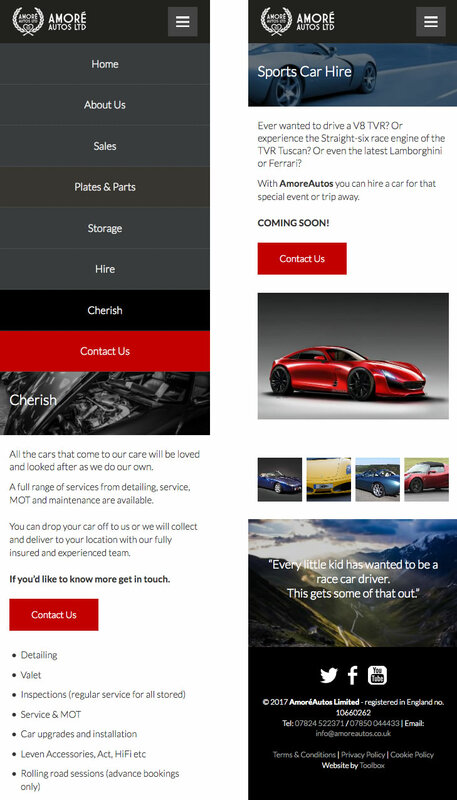 Website and branding design for new automotive startup, Amore Autos. 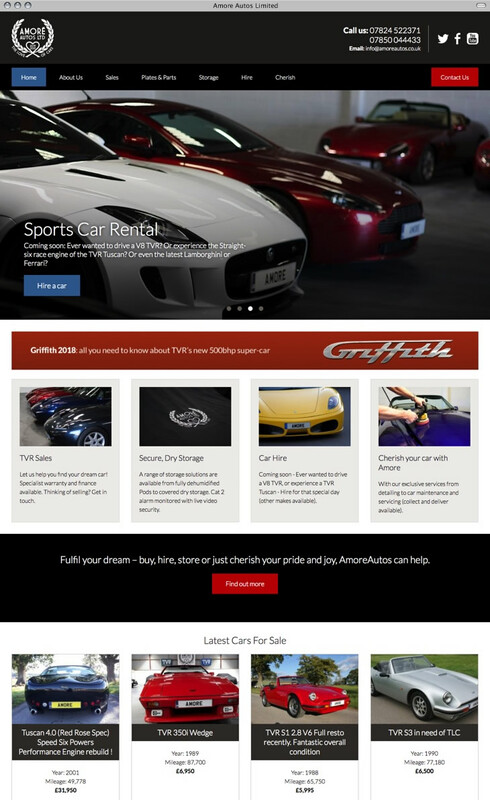 Being a car enthusiast myself, I jumped at the chance to create a new brand design and website for this new sports-car startup. 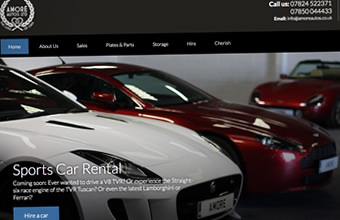 Amore provide car sales and storage services for sports car owners, and specialise in dealing with TVRs. As a new company, we provided design for both the website and their branding - the logo is used across many forms, from a 6ft banner to vinyl car stickers and flags. 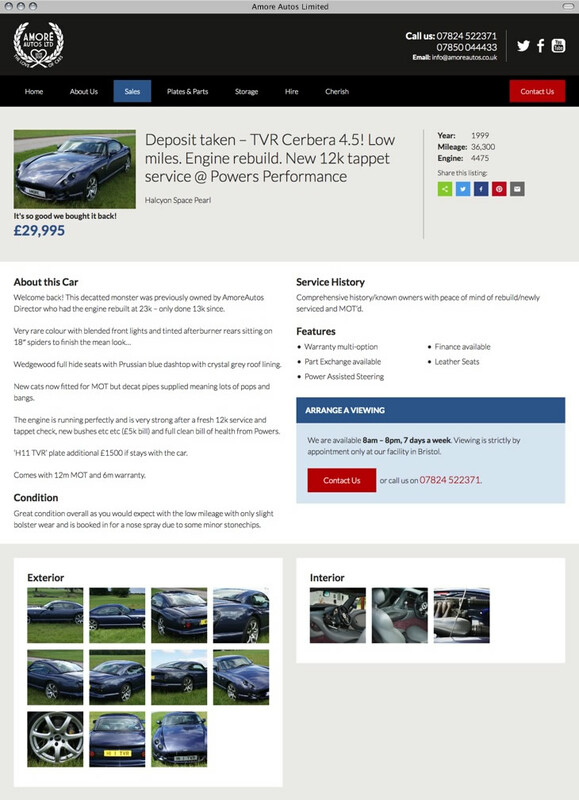 The website itself features a custom-created sales section, all created by us for the company to present their latest stock and parts for sale.